Creating a new timbered floor system out of salvaged beams… We needed to strengthen the existing beams to carry the floor load. 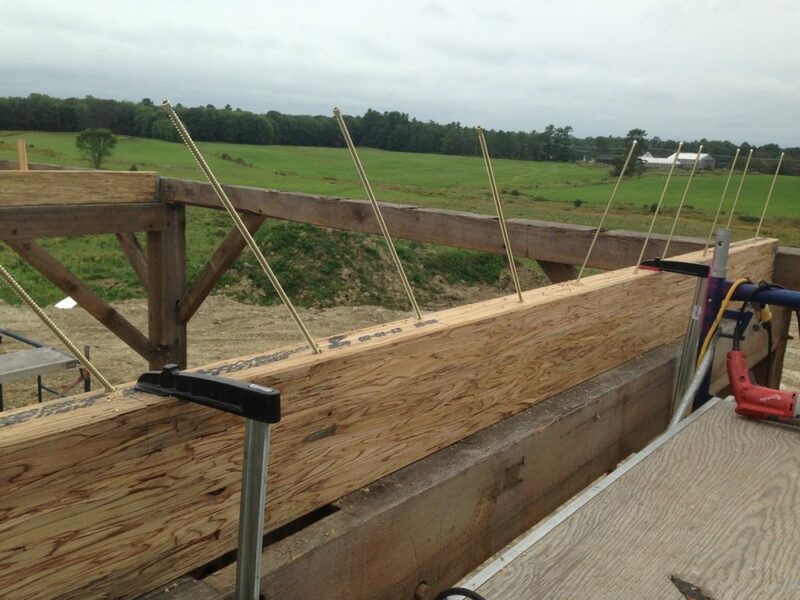 An engineered wood beam was added, and connected to the existing beam with 19″ screws, 12″ on center. Timber floor joist were then added to create a new second story. 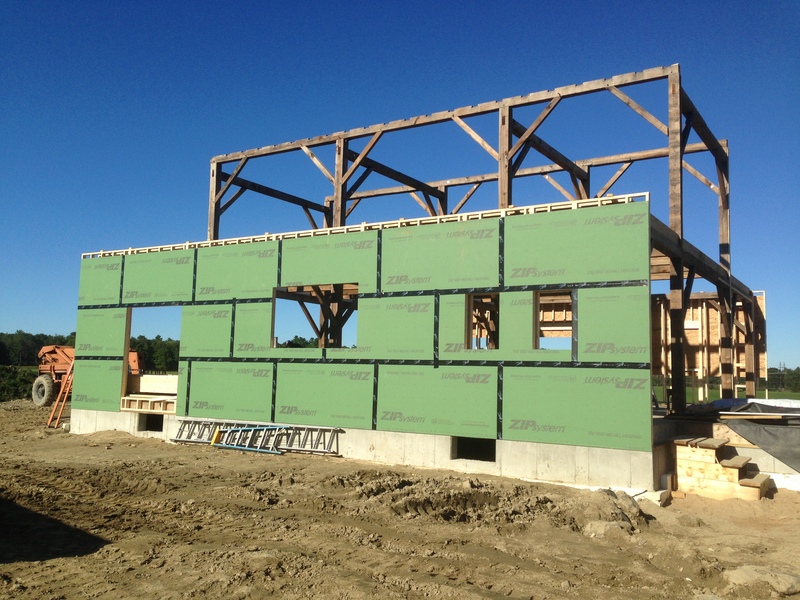 Posted in Barn Custom Home Post and Beam Timber Frame .